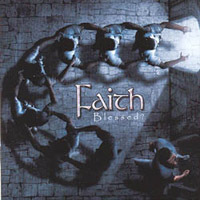 The 3rd album from Swedish doom metallers entitled "Blessed?" is another progression from their previous "Sorg" album from '06. With this 9 tracker, the band steps further towards a unique mixture of doom metal, progressive and with influences of Swedish folk music. This is close to a masterpiece, mixing CANDLEMASS with HEDNINGARNA, but always with a heavy approach, and 1 foot in the 70's doom scene !! Simply great !